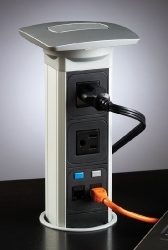 The VersaPULL is a unique power system that installs into an 80mm hole and simply pulls up to extend access to power plugs and data ports. 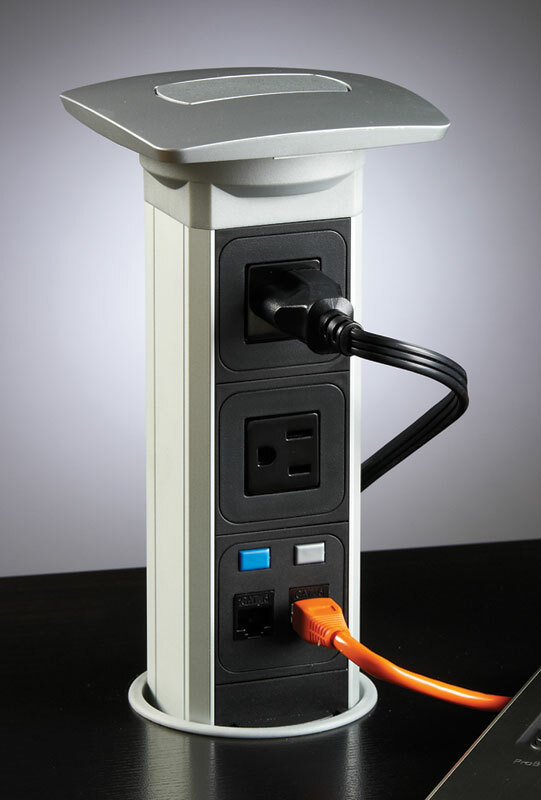 When not in use, the VersaPULL can retract down into the desktop or surface and reduce clutter and provide as much usable space as possible. 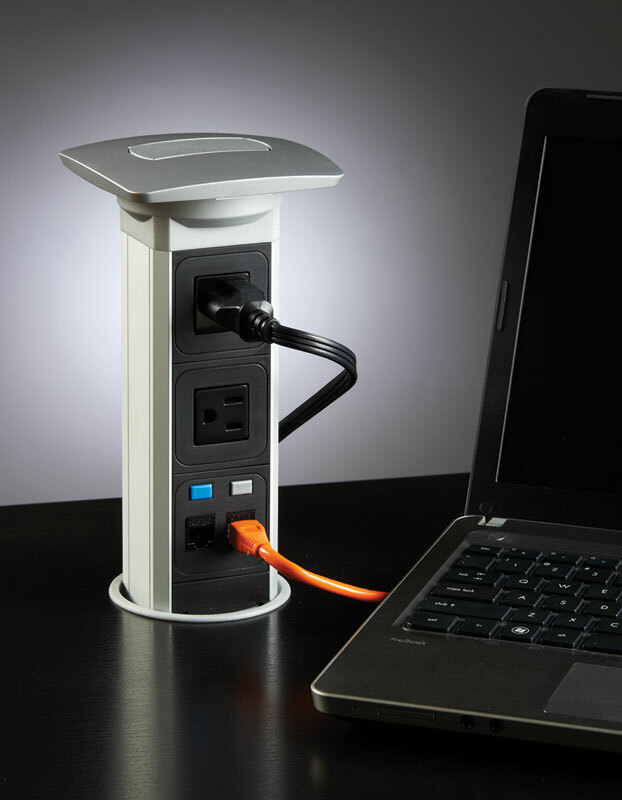 The VersaPULL is offered with RJ45 Cat 6 ethernet connections and optional 5V USB connections for charging portable devices. Perfect for the home office, executive office, conference rooms, schools, libraries, and much more.